Dr. rer. pol. Ralph Hintemann is a senior researcher at the Borderstep Institute for Innovation and Sustainability. His research focuses on innovation strategies, the development of sustainable markets of the future, and the diffusion of new products and technologies, in particular environmental innovations and information and communication technologies. 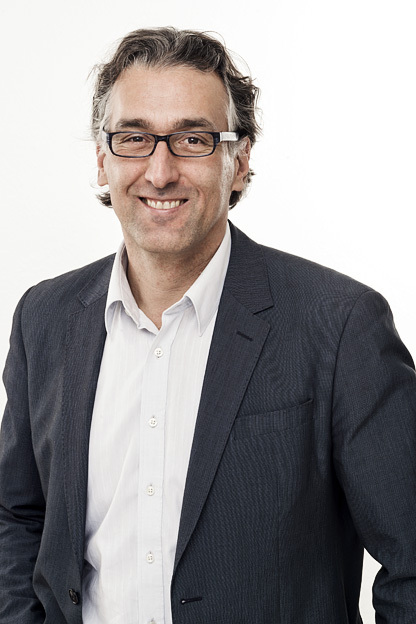 Ralph Hintemann studied mechanical engineering as well business and economics at RWTH Aachen University and was an assistant professor with a focus on innovation and environmental research from 1991 to 2000. In 2000, he obtained his doctorate at the School of Business and Economics at RWTH Aachen University. Subsequently, he worked in various technological areas at BITKOM, the German Federal Association for Information Technology, Telecommunications and New Media in Berlin, ultimately serving as Head of Department IT-Infrastructure and Digital Office, Business Excellence. Since Ralph Hintemann enjoys sharing his knowledge with students, he is willing to travel to teach, even if it means leaving his family at home. He currently teaches at the chair for innovation management and sustainability as well as in the part-time master’s program in innovation management at Carl von Ossietzky University Oldenburg. He is also an active member of the Oldenburg Center for Sustainability Economics and Management (CENTOS). Ralph Hintemann also teaches innovation management at the Department of Business at the Hochschule für Technik und Wirtschaft Berlin. Hintemann’s practical talents are high in demand at Borderstep. Already as a student research assistant, he set up testing facilities for new vehicle concepts and studied the construction of hybrid cars. Today, he likes to fix oldtimers as a hobby mechanic. At Borderstep, he uses a soldering iron and applied physics to fix any loose connections.